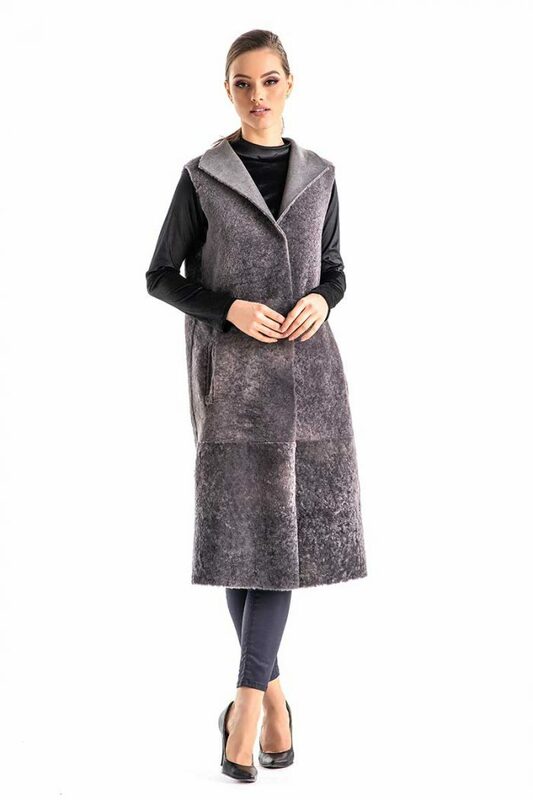 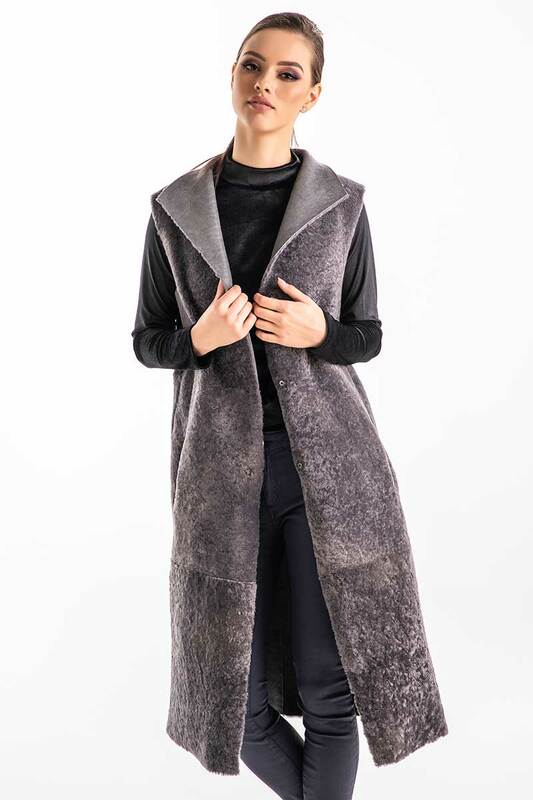 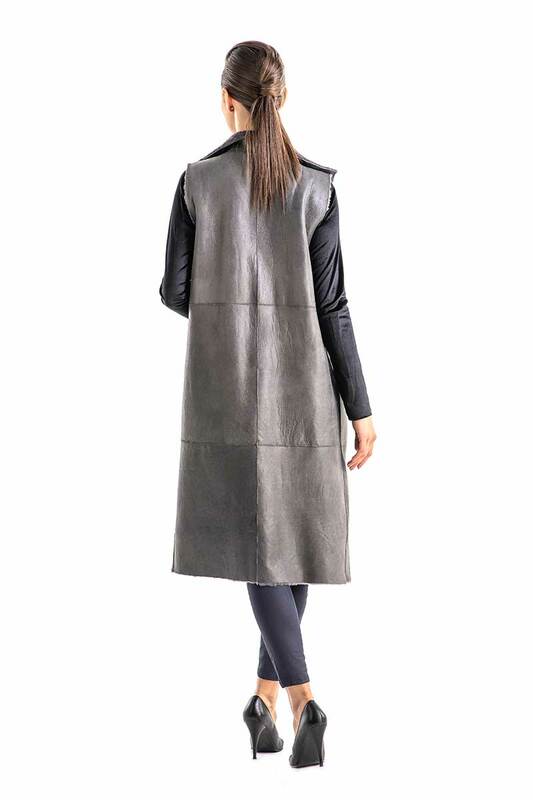 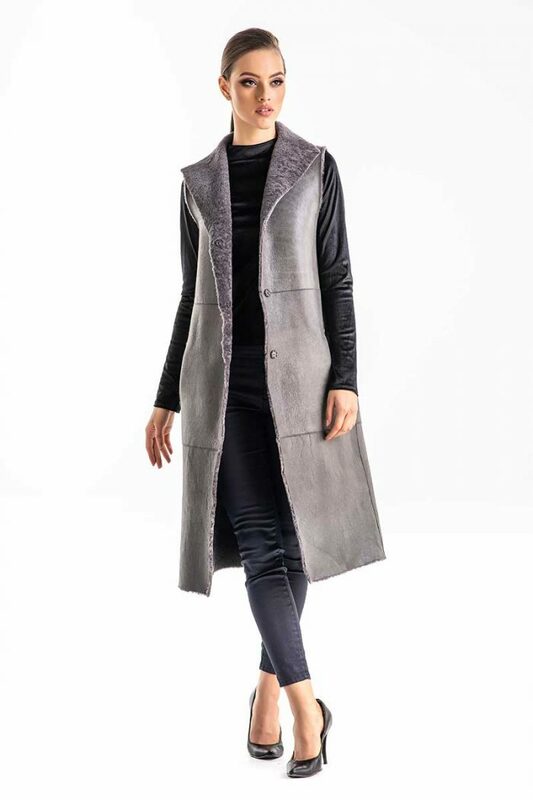 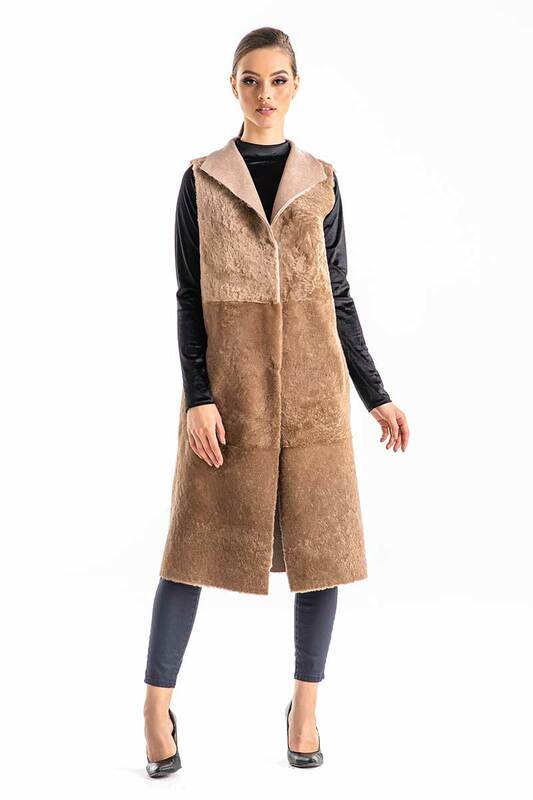 Reversible long vest made from lamb fur, for women. 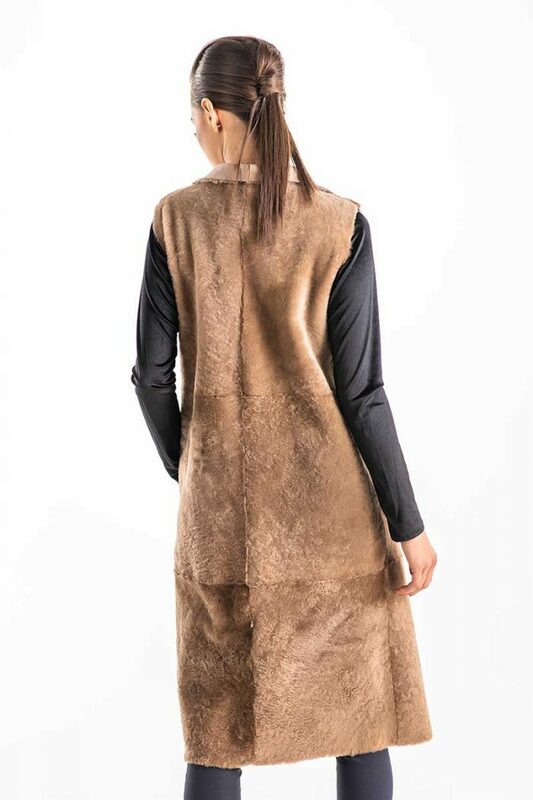 This vest had two sides, one is made with mouton fur and the other with nappa lamb leather, moisture and wind resistant. 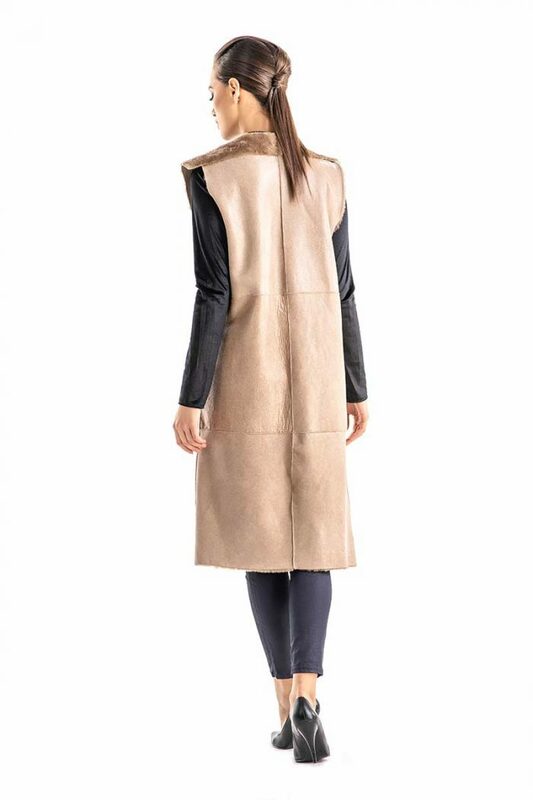 The vest has two pockets and the closing is done with staples. 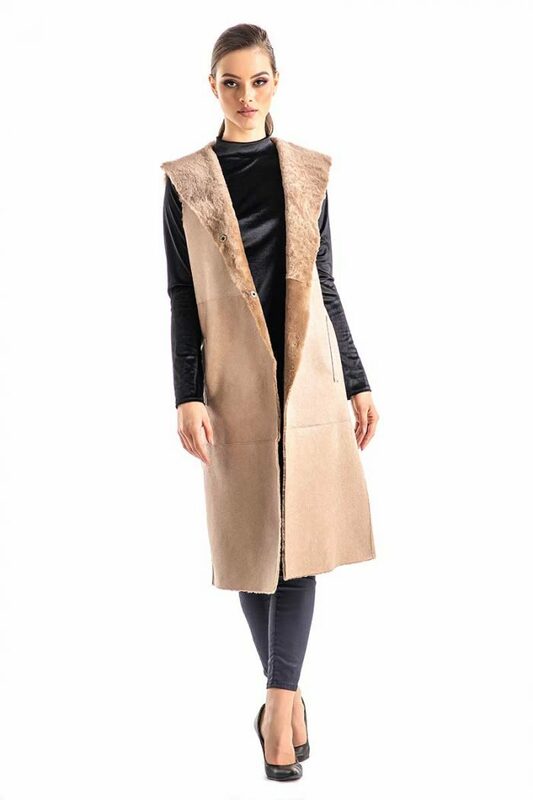 It’s an elegant vest that will bring out the outfits by its simplicity.